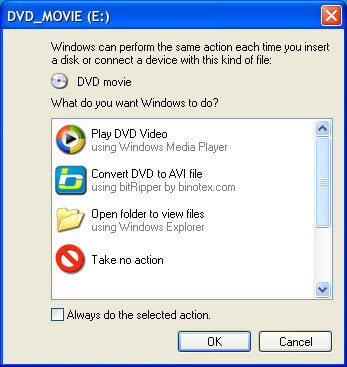 Here we have some screenshots of the bitRipper, just to let you make sure that it has really THE MOST simple interface among all DVD ripping and converting tools you've ever seen. The main window. You start the program, put the disc into your DVD drive and hit Start ripping... And that's all of it! Here is what's going on after you have clicked the Start ripping button. The process of conversion. You see all necessary information about the conversion progress. In addition to Stop and Pause buttons, you are able to control the system priority of the conversion process. You can switch it to a higher value if you need to get the results as soon as possible or set the low priority if you need to perform other tasks at the same time as bitRipper works. Okay, here it is, the most complicated window of the bitRipper. Settings window if the place where you can choose which codecs to use for video and audio compression, choose the proper bitrate using internal calculator, fine-tune the video/audio parameters and set actions to be performed after the job is done.